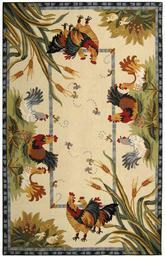 If you’re in the market for a new wool rug, don’t trust your hard-earned money to anyone but the best. 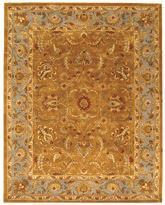 It can be tempting to purchase your wool rugs at a big box store or discount home goods store, but how can you know you’re really getting a quality rug? 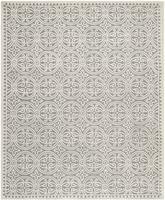 The best alternative is to buy your wool rug through a retailer that specializes in rugs. 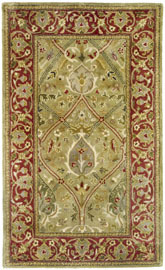 Online websites, sites such as boldrugs.com carry a quality selection of New Zealand wool rugs, Chinese wool rugs, and Tibetan wool rugs. 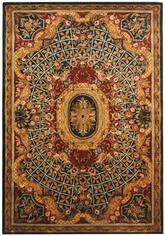 Square wool rugs, oval wool rugs, and large wool area rugs make it easy to find what you’re looking for. 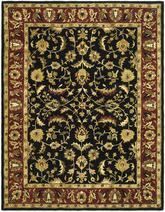 While it can sometimes be daunting to make a purchase like this online, you won’t be disappointed by our selection of discount wool rugs and discount wool area rugs. 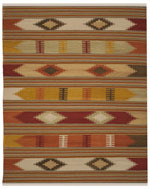 So before you trust your investment to anyone else, do your homework online and you might find wool rugs you love! 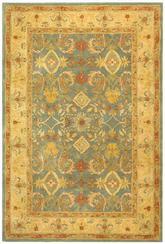 Do you enjoy old-fashioned and traditional rugs in your home? 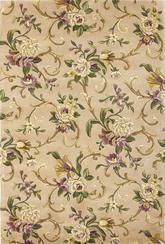 Are you looking for a great way to keep your floors soft and comfortable without sacrificing quality? 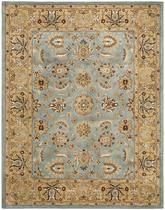 Are you interested in shopping for a wide array of different types of rugs to fit just about any style of interior design? 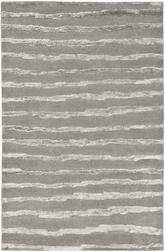 If so, look no further than wool area rugs to suit all your needs and more! 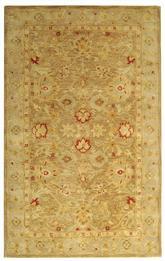 Wool rugs are some of the most traditional types of area rugs available, and there are plenty of great reasons to bring home a rug made of real wool the next time you need a new piece of décor for any room. 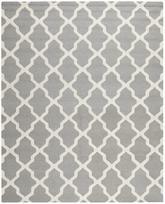 With a wool rug, you’ll be able to complete any style and make any space pop! 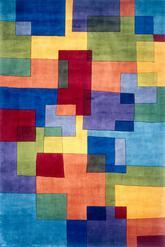 What are Wool Area Rugs? You probably already have some idea what wool is, but just in case you don’t, here’s a quick rundown. Wool is a fiber that comes from a sheep or goat, but it might also come from any other similar type of animal that can be shorn to remove its hair. 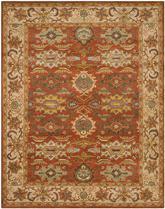 Some types of wool are more eco-friendly than others; in some instances, wool such as mohair requires the animal to be killed in order to harvest it, while other types of wool can be shorn from sheep without causing harm to the animal. 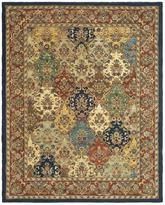 When it comes to area rugs, you’re more likely to encounter the variety of wool that doesn’t require the animal to be killed, although if you’re very concerned with this, be sure to check the label for more information. 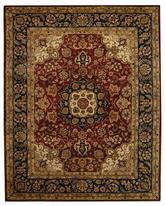 Wool oriental area rugs in the 9’x12’ size are some of the most common types of area rugs on the market today. 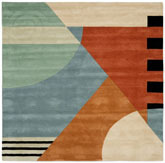 These rugs are designed in traditional, old-fashioned ways that look and feel much like the area rugs of days long gone. 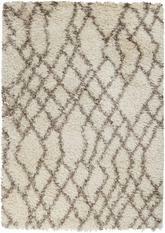 Wool braided or shag rug options are also available, however, and these tend to have a much more modern appearance. 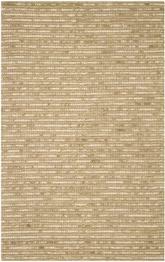 You can even find wool blend rugs, such as wool sisal runner rugs and wool cotton blends, that help you create a transitional space between the two styles. 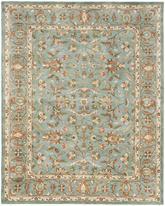 When it comes to shopping for area rugs, wool is the number one choice for many buyers. 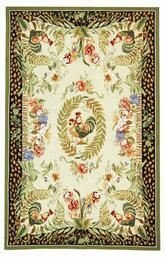 The size of rug you choose depends entirely on the type of room you’re trying to create. 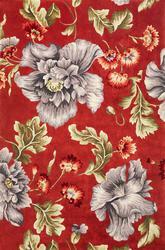 For example, are you looking for a traditional space with a lot of charm and high-class elegance? 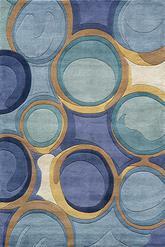 If so, try a 9x12 hand hooked or hand tufted wool rug for best results. 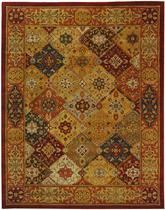 These rugs are a little pricey, but they are beautiful and impressive pieces of home décor that are sure to be with you for a long time to time. 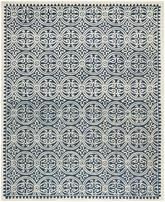 If you need to cut costs a little, you can purchase machine made wool rugs that look just as beautiful, although these are usually printed with designs. The choice is up to you, and it may be easier for you to choose once you determine the style of room you want to work with. 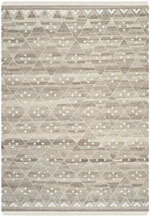 Wool rugs may be a little more traditional, but there’s nothing that says they can’t be contemporary in the right situations, too. 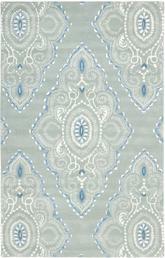 For example, a small round blue wool rug can look very modern when you use it as a centerpiece in your dining room. 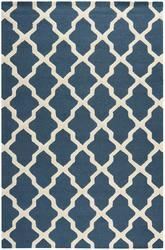 Choose a 6’ round rug for this purpose, and go with a vibrant, strong blue instead of a powder or navy. 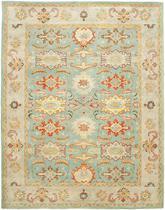 Work around your rug to create a modern space filled with splashes of the same color. 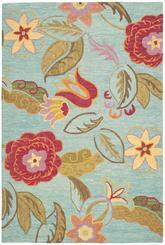 All it takes is one small rug to get started! 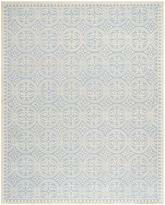 What Shapes of Wool Rugs are Available? 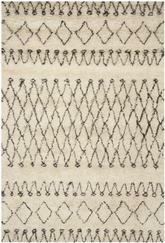 You might feel as though you’re a little bit limited in terms of wool rug shapes available, but you can still do a lot with a few different types of shapes. 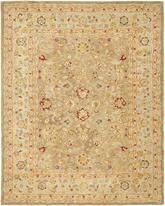 Wool rugs are most commonly available in rectangular and square shapes, and these are used in more traditional rooms. 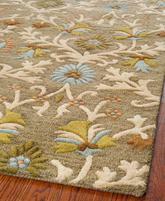 They can be found in several different sizes, and it’s pretty easy to come by wool rugs that suit the size and style of your rooms no matter what you’re going for. 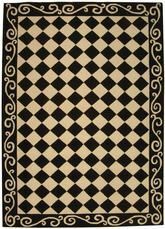 However, if you want something more like contemporary or modern wool rugs, you might want to stick to oval and round shapes instead. 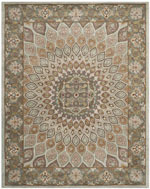 These rugs are able to work into a more modern setting a little bit better than the old-fashioned angular shapes of rectangles and squares, and round white wool rugs, for example, can go a long way toward helping you create the room of your dreams. 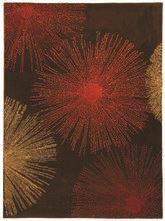 One large round rug can look incredible in a modern dining room, while several smaller ones like little bursts of color are sure to create the perfect contemporary bedroom ensemble. What is the Best Room for Using Them? 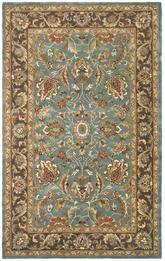 Traditionally, the living room has been the most common room for wool rugs, and rightly so. 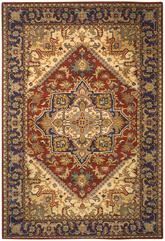 Traditional hand knotted wool rug decorations have been intricately crafted and designed by human hands, and they are often one of a kind or very close to it. 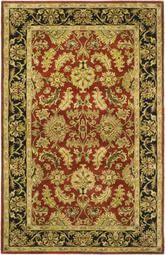 They were once featured on the floors of living rooms, parlors, and sitting rooms, and they were carefully avoided so as not to be damaged by frequent stepping. 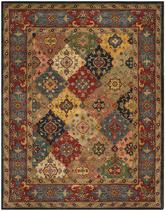 However, this isn’t as reasonable today, and a lot of times, old-fashioned one of a kind rugs are hung on the wall for display purposes now instead of being used on the floor. 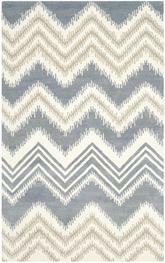 If you want to create a transitional space, you might consider using a wool rug in the dining room for a twist instead. 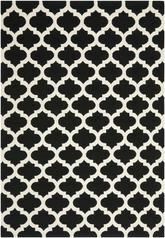 A black and white wool rug on the floor of your dining room can make a bold statement, and if you choose a good brand like a Safavieh wool rug, you won’t have to worry as much about damage and wear and tear. 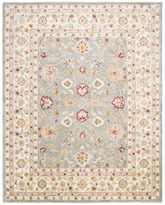 Using a wool rug in a room other than the living room can help you put together a unique space that treads the line of old and new perfectly. 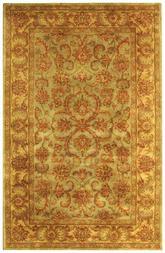 There are almost no limits to the types of wool rugs you can find if you’re looking to bring one into your home. 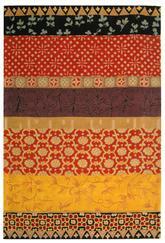 You can find them in unique shapes or traditional ones, in sizes large and small, and in colors and patterns to suit every style from modern to transitional to very traditional. 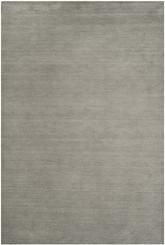 No matter the type of space you’re looking to put together, there’s a wool rug out there just waiting for you to discover it. 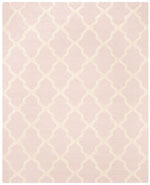 Best of all, since real wool is a natural fiber, it’s easy to work with and pretty easy to keep clean, too. 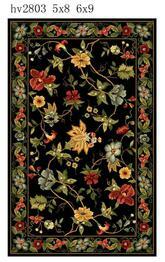 You’re sure to have your wool rug in your home for years to come.